All distilled spirits are alcoholic beverages manufactured by the distillation of grains, vegetables or fruits after they have gone through the alcoholic fermentation process. Spirits undergo distillation process to remove diluting components to increase the proportion of alcohol content. Spirits consist of more than 10% alcoholic content compared to brewed beverages. Various spirits available in Columbia are brandy, whiskey, rum, tequila, gin, vodka, cane, flavoured spirits and natural spirits. Beer, wine and cider are not considered as spirit as alcoholic content in these products is less than 10%. Spirits in Colombia are widely distributed through brick and mortar stores, independent grocers, hypermarkets, supermarkets and specialists selling wider array of imported brands. However, the major distribution channels in Columbian spirits industry are hypermarkets, supermarkets, department stores, convenience stores, food & drinks specialists, general merchandise retailers, vending machines, e-retailers and other general retailers. Glass is leading packaging material used in spirits industry. Licores y Alcoholes de Antioquia, Industria de Licores de Caldas and Empresa de Licores de Cundinamarca are the top three Colombian state distilleries and leading players in the country’s spirits market. The leading players in Columbian spirits industry are Fabrica de Licores de Antioquia, Empresa de Licores de Cundinamarca sa, Industria Licorera De Caldas, Diageo plc, Pernod Ricard SA, Aguardiente Llanero, Bacardi Limited, Coloma Ltda, Sabajon Apolo S. A. and William Grant & Sons Ltd. Antioqueno Aguardiente, Aguardiente Nectar and Aguardiente Cristal are the leading brands within Columbia’s spirits industry. Every country’s spirits industry is a decentralized industry because of the regulations that are imposed. All the spirits industries standardize and simplify their systems as efficiently and effectively as possible. It was observed that there is a decline in spirits industry due to tax reforms that caused increased beverage prices. Columbia’s economic deceleration and tax increase has led to a huge demand for niche spirits such as tequila, gin, bourbon and single malt Scotch whisky. Millennials increasing demand for gin and tequila versatile in the preparation of cocktails and gin is mixed with different herbs and spices to create unique drinks has boosted the introduction of new brands driving the market for cocktails. 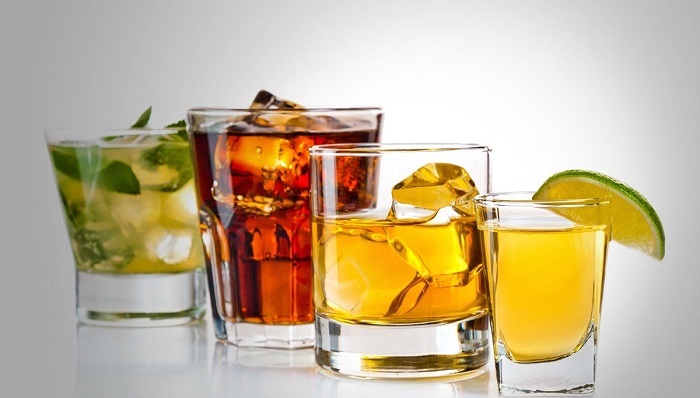 Consumers changing preferences towards more sophisticated spirits and tax imposed on various spirits has led to decrease in consumption and purchase power in Columbia. The market for imported spirits has witnessed a steady growth over the recent years compared to Columbian state distilleries amid of decelerating economic conditions and budget restrictions. Colombians demand for refined alcoholic drinks, which promotes the demand for imported premium brands. Increase in consumer’s spending limit, demand for premium brands and innovative marketing on social media will drive the Columbian spirits market towards excellent growth over the next few years.